Home ARTS	It’s a bird! It’s a plane! It’s… a girl? DC comics has spent the past few years bringing their characters to life on the small screen. From the CW successes Arrow and The Flash to Fox’s Gotham, the male heroes have established loyal fan bases of faithful viewers. 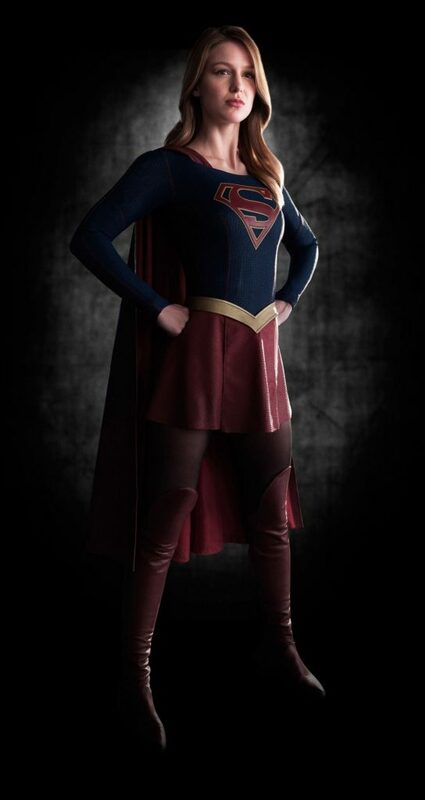 Then comes CBS’s Supergirl to put an end to that winning streak. Supergirl opens with baby Kal-El’s iconic departure from Krypton. It then adds to the story by including his 12-year-old cousin, Kara Zor-El, being prepped for a trip of her own to follow Kal-El to Earth and take care of him. This is the first indication of how the show sees its lead female character as a traditional caregiver instead of an independent hero. On her journey, Kara’s ship is knocked into the Phantom Zone from Krypton’s explosion and she becomes suspended in time for 24 years, leading to her arriving on Earth years after Kal-El became Superman. Instead of Kara helping her cousin, Clark Kent helps her by arranging for her to move in with the Danvers, a pair of scientists who helped him develop his powers, and their daughter, Alex. At age 24, Kara (Melissa Benoist from Glee) works as an assistant to a Devil Wears Prada-like boss, Cat Grant (Calista Flockhart from Ally McBeal) at CatCo Worldwide Media in National City. Her boss explains that employees will have to be let go because the city doesn’t have a hero like Superman to make headlines and sell publications. This sparks the idea in Kara that she could be a hero that makes headlines. However, it isn’t until her sister, Alex (Chyler Leigh from Grey’s Anatomy), is trapped in a crashing plane that Kara takes flight and manoeuvres the plane to a safe landing on the water. This reiterates the idea that what makes Kara a hero is her ability to take care of family. The episode’s set-up for the rest of the season is that Kara’s ship escaping from the Phantom Zone 12 years ago also brought a ship of prisoners to Earth. They are determined to destroy Kara because her mother was the judge who sentenced them. However, in a clichéd twist, the leader of the prisoners turns out to be Astra, the identical twin sister of Kara’s mother (Laura Benanti from Nashville), who wants to destroy her niece. Things were much simpler when Superman was the only known survivor of Krypton. Supergirl boasts some impressive special effects scenes, such as the Krypton escape, the plane rescue, and a final battle between Supergirl and one of the escaped prisoners. However, the show’s hang-up on whether or not a girl can be a hero makes it less interesting than other DC shows from production team Greg Berlanti and Andrew Kreisberg (Arrow and The Flash). Supergirl may improve over the season and evolve into the fall series hit that it promised to be, but at this time, it hasn’t lived up to its potential.